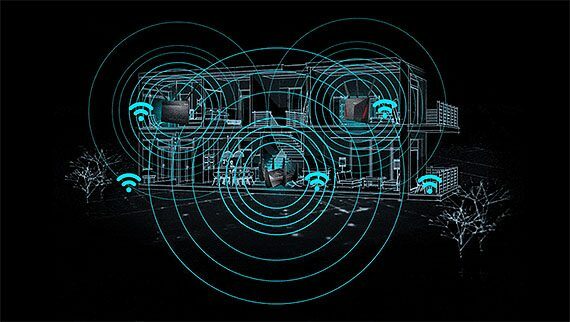 The AiMesh is an ambitious, new technology developed by Asus which allows the creation of home-based WiFi mesh systems using two or more Asus routers. 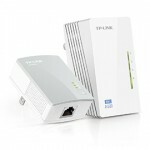 Unlike the dedicated WiFi mesh systems available from most, if not all large networking manufacturers (yes, including Asus), where you usually get two or three identical devices, you don’t necessarily need to use the same Asus routers and you can, for example, use your older RT-AC68U along with either the RT-AC88U or the RT-AC86U (or any other compatible Asus router) in order to create a larger network. 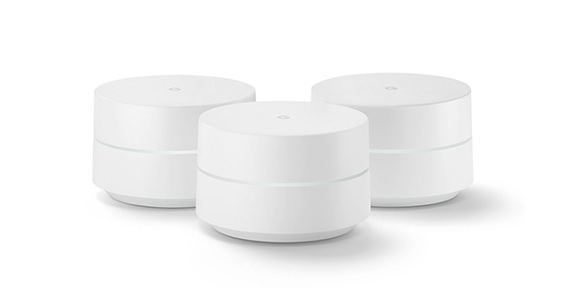 I know that there isn’t a standard set for the available WiFi mesh systems (they’re proprietary and won’t work together), but they all rely on the same set of properties in order to achieve their goal (including the AiMesh). Probably the most important one is the self-optimization property, which analyses all the nodes connected to the network and, based on the signal strength, the distance between the routers, the number of connected clients, the available radios, the overcrowded channels (and more), it helps create optimized paths which ensure that the data gets to the destination as fast as possible. Furthermore, by adding more nodes, you also allow the network to create more paths for the data and cover a lot more space than you could with a single router. The last important element of a mesh system is the self-healing property, which ensures that in case a node fails, the data still reaches its destination. To do so, the network detects that a node has gone offline and it searches for the nearest and least crowded router in order to re-route the data to its destination (therefore, the user won’t experience any downtime). 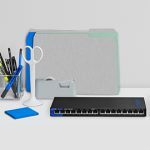 But, the mesh system still has to deal with the backhaul traffic which, if not handled properly has the potential to make the whole system unusable (such as the case of the Asus Lyra which under-performs after the first node). The dual-band mesh systems left both radios for backhaul traffic and for the clients, while the tri-band systems were a bit more creative: the Velop automatically designates one of the two 5GHz radios for backhaul (it also supports Ethernet backhaul); the Eero 2nd Generation prides itself as ‘true mesh’, so it left all three radios open for both client connection and the backhaul traffic (it can also use Ethernet); the Orbi has undergone multiple architectural changes which have fundamentally changed the way it functions (it now supports daisy-chaining and Ethernet backhaul), but it still uses the dedicated 5GHz radio for backhaul (when left in wireless mode); the Zyxel Multy has the same approach as the Orbi, but uses identical units and lastly, the Lyra gives a lot more freedom to the users, so they can set which band should be assigned for the backhaul traffic (and after a few updates, it also supports Ethernet backhaul). The AiMesh handles the backhaul traffic differently depending on the type of routers used to create the mesh network: if the system is dual-band, then the AiMesh will choose one of the two radio bands for backhaul and, in case you have the node wired, then it will automatically use the Ethernet backhaul feature (you can choose between Auto and Ethernet for the Connection Priority in the user interface). 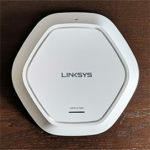 If the AiMesh is used on two or more tri-band Asus routers, then one of the two available 5GHz radios will be used for backhaul (if the Ethernet connection is not available). So, it’s clear that the AiMesh functions quite similarly to the dedicated WiFi systems, but, while I will give Asus credit for using pre-existing devices for this new tech (it’s not an easy thing to pull off), this is still a work-in-progress software and it may prove to be a bit more unstable than some already polished systems (such as Google WiFi or Eero), so the user may need to experiment a bit before being able to have a completely stable mesh network. Don’t get me wrong, setting up the AiMesh on a couple of routers shouldn’t need more than two to three clicks, but, if you’re unlucky, you may need to either disable some features or use an older firmware for the pairing to be done (especially if you’re using mixed routers). 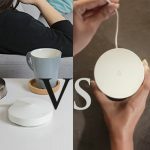 If you don’t mind playing a bit with the settings of your router, give AiMesh a shot, otherwise, if you prefer to do a one-time setup and forget about the device, then you may still need a dedicated WiFi mesh system. Note: The AiMesh was previously known as the AMAS project, but, just as the HiveSpot got renamed to Lyra, Asus decided to rename it as well. 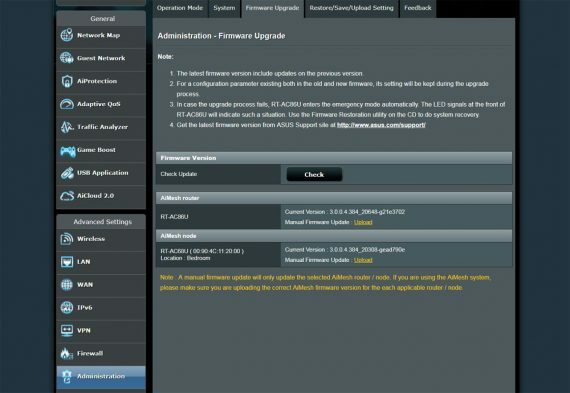 UPDATE 11.14.2018: The Asus RT-AC68U and the RT-AC86U have been updated to the latest firmware version available at the time of writing (Version 3.0.0.4.384.32799) and I have retested the AiMesh system in a new location. 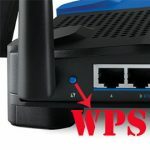 UPDATE 07.16.2018: Both the Asus RT-AC68U and the RT-AC86U have been updated to the latest firmware version available at the time of writing (Version 3.0.0.4.384.21140) and as a spoiler: the same problems persist. 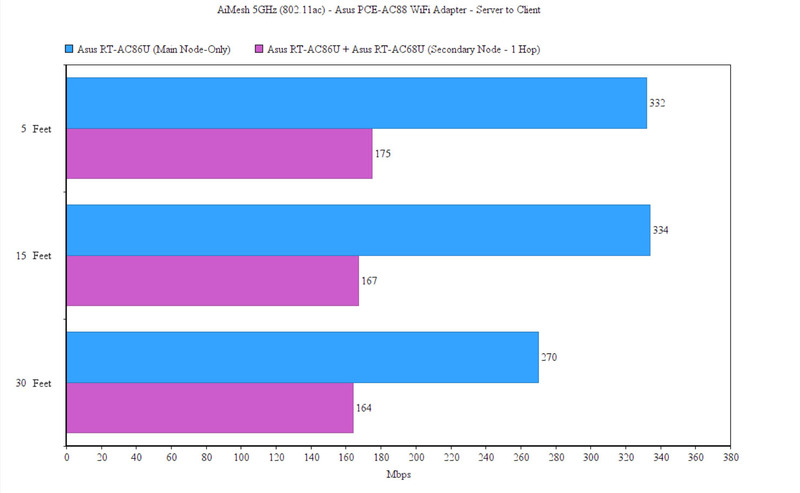 Note: You can check the full review of the Asus RT-AC86U and the review of the Asus RT-AC68U (vs Netgear R7000). 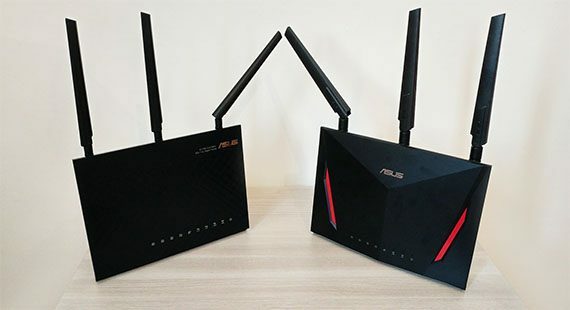 In order to see how does the AiMesh behave in a home environment, I decided to use two routers, one is the newer Asus RT-AC86U which could use AiMesh out-of-the-box and the second router is the older Asus RT-AC68U which could use the mesh technology after a firmware update. The reason I chose the latter is because this particular model was very popular some years back (it still is to a certain degree), but I suspect that a large number of people will want to upgrade their network, since I don’t doubt that a 5-year old router would start showing its age and it may have some trouble handling a larger number of devices that rely on a WiFi connection to function (this number is constantly increasing with every passing year). 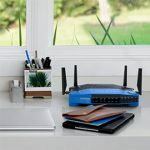 So, the users can either completely replace the router with a newer model (or a WiFi mesh system) or they could still keep the older device and just purchase a more powerful one to use it as the main unit, while keeping the RT-AC68U as the secondary mesh node. The reason why I chose the Asus RT-AC86U is because it is the official successor to the RT-AC68U, so it has a lot in common with it and I also took into account the powerful hardware and the fact that it’s less-than-a-year old, so there is a high chance that it will be supported for a longer time than the RT-AC88U. I have to admit that the AiMesh is a clever way of keeping the users into the Asus environment (especially those tempted by the WiFi systems), but I do like that this is the only company (so far) fighting back at the overly simplistic and minimalist approach of the dedicated mesh WiFi systems, where the user has limited configuration options and the features are a bit lacking, as opposed to the usually more powerful traditional router (which is a lot more configurable and it has not completely removed the browser-based interface). I am not saying that one is better than the other, it’s just nice to see a healthy competition and more options for the users. 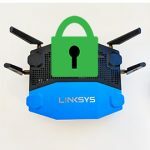 The hardware installation is simple and it requires you to set up one router as the main node (just set it up to work as a router by following the initial configuration wizard) and install the latest firmware which gives you access to the AiMesh section. 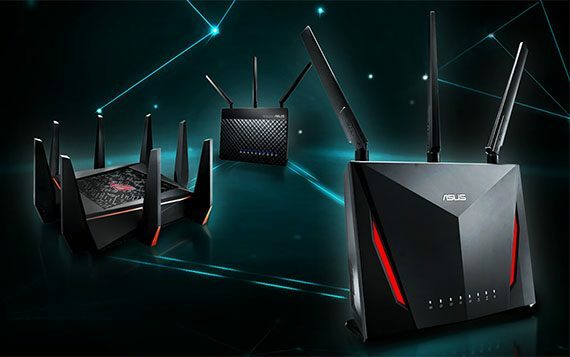 It is advisable to choose the most powerful router as the main unit that will be connected to the Internet, so I used the Asus RT-AC86U with the firmware version 3.0.0.4.384_20648 3.0.0.4.384.21140 3.0.0.4.384.32799. After the initial set up process is concluded, you will be able to see the AiMesh icon on the Dashboard which shows the number of connected nodes: click on it to summon the AiMesh section on the right side, where you can manually search for any AiMesh node in the vicinity. On the next step, you need to take the Asus RT-AC68U, update it to the latest firmware (in this case, it’s the version 3.0.0.4.384.20942 also the version 3.0.0.4.384.21140 3.0.0.4.384.32799), initialize it and leave it alone. Next, run the ‘Find AiMesh node’ option on the main unit in order to detect the secondary device. The first and the second time I tried adding the RT-AC68U to the network, things did not go that smoothly and the RT-AC86U could not detect the node no matter what I tried (some instructions required setting up the RT-AC68U as a mesh node from the user interface, but this route has proven to be unsuccessful as well – some troubleshooting guides have also suggested that disabling the Airtime Fairness and/or the BeamForming could allow the connection, but this had no effect whatsoever). What did work both times was re-installing an older firmware, the v3.0.0.4.384.20308 and after I reset and initialized the RT-AC68U, it got successfully detected by the RT-AC86U as a mesh node. Unfortunately, this issue still persists even with the latest firmware update and it was present with the v3.0.0.4.384.20942 which I used when I first tested the Aimesh system, so Asus still did nothing to address this problem that continues to plague some users. If you visit the Dashboard section, you’ll be able to see all the AiMesh nodes and you can click on any of them to summon a small window which shows the Location of the secondary router (can be changed), its IP address, the connected clients (a very useful feature, since it let’s you know which node your clients prefer – it also helped me test the system) and you can also access the More Config section, which shows the MAC address of the node, it allows you to change the Connection Priority, it shows you the connection type and the Firmware Version. You should update both the router and the node to their latest firmware and, to do so on the secondary nodes, click on the Firmware Version and either let it automatically detect if there’s a new firmware available or manually upload the newer firmware file – this way, I was able to get the RT-AC68U to the latest firmware after I had to downgrade it for the pairing process (the node remained connected after I updated the software). 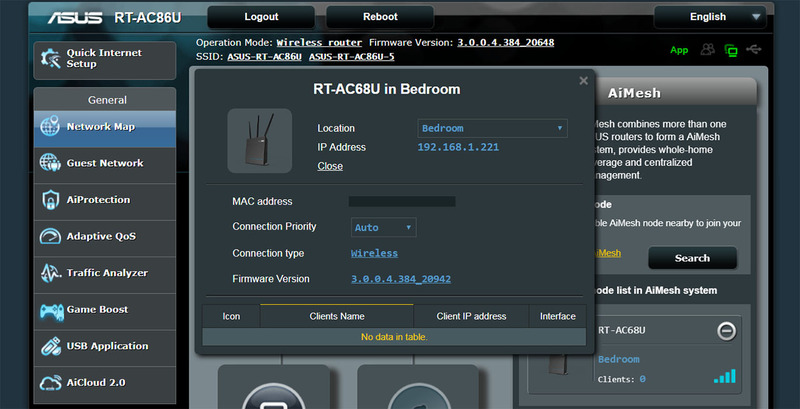 Because I chose this specific set of routers, there is a noteworthy limitation which can be addressed with future firmware updates: the RT-AC68U does not support the SmartConnect feature, so there is no band steering available for that node, which indicates that you won’t get the characteristic seamless roaming (if you use a different combination of routers, it is supported). The Asus RT-AC68U has been through a couple of new firmware updates and the manufacturer seems to have improved some aspects of the device, such as the AiMesh bandwidth and extension channel sync issue and it has added more protection mechanism for OpenVPN account, but the persistent adoption problem and the lack of the SmartConnect makes me wonder if Asus doesn’t find the RT-AC68U integration within the AiMesh environment more trouble than it’s worth. 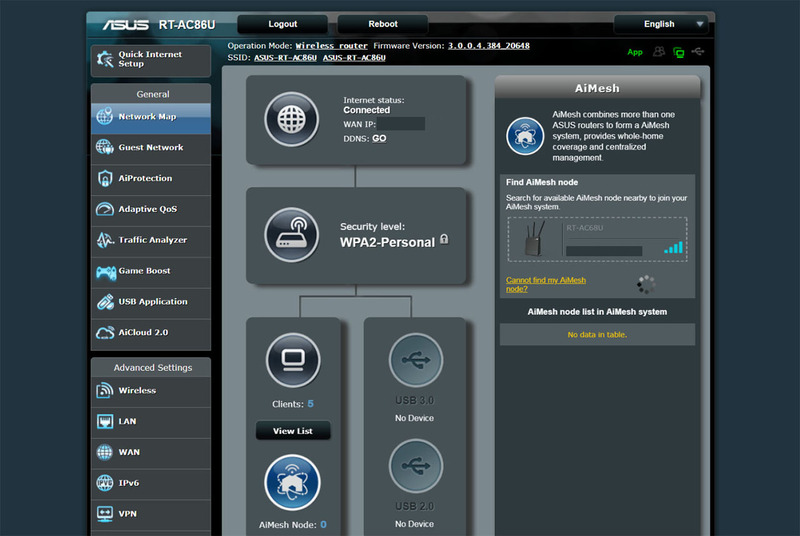 One generally unsupported feature for any type of Asus router using AiMesh is the Guest network, which works only on the main router unit and will not propagate to any additional node and, unfortunately, it seems that it may take a while until we will see this feature enabled. Testing the AiMesh using two such diverse routers is a little bit tricky, because, some features will work when connected directly to the main node (RT-AC86U), while some won’t since the RT-AC68U does not have them implemented (such as MU-MIMO) or has less powerful versions of them (such as the less powerful TurboQAM). That being said, I configured the RT-AC86U as the main node and I connected a powerful laptop via wire (1Gbps connection) which was set as the server and, afterwards, I added the RT-AC68U to the mesh network, but, since the RT-AC86U is really great at covering large areas, I had to put the mesh node after a couple of thick walls and at about 40 feet away from the main router in order to force the wireless client to connect to the RT-AC68U (the wireless client is a powerful desktop PC equipped with the PCE-AC88 adapter, which is a perfect match for all the features of the Asus RT-AC86U). Note: I have tested the AiMesh WiFi system in a new, ‘more difficult’ location, so the results will differ a bit from the original test. As a single AiMesh unit, the RT-AC86U is a very strong performer, so, while using the 5GHz radio band from the client to the server, I measured an average of 730 Mbps at 5 feet, while at 15 feet, the speed went slightly down to to 640 Mbps and at 30 feet, I measured an average of 370 Mbps. From the server to the client, I got a more uniform performance: 5 feet away from the RT-AC86U, I measured an average of 332 Mbps, while at 15 feet, the speed got a bit better to 334 Mbps and at 30 feet, I measured an average of 270 Mbps. When compared to the first location (which had less interferences and I could easily keep the line of sight), the new location has more concrete walls (at 30 feet, the signal has to go through three thick concrete walls), so, as expected, there is a noticeable impact on the wireless performance at more than 15 feet. On the next step, I added the RT-AC68U to the network and positioned the device 40 feet away from the main unit. This way, the wireless client connected to the mesh node and from the client to the server, 5 feet away from the second node, I measured an average of 143.9 Mbps, while at 15 feet, the speed went down to 139.6 Mbps and at 30 feet, I measured an average of 137.6 Mbps (in the new location, the performance seems to be slightly worse at close range, but I did see an improvement at 30 feet). Afterwards, from the server to the client, the performance seems to be better and it maintained the same stability: at 5 feet, I measured an average of 175 Mbps, while 15 feet away from the RT-AC68U, I measured around and around 167 Mbps and at 30 feet, the speed went slightly down to 164 Mbps. When compared to the other dual-band WiFi mesh systems, the RT-AC68U and the RT-AC86U used with the AiMesh had a slightly average performance even though we are dealing with two significantly more powerful routers (than let’s say Google WiFi‘s nodes). Also, the RT-AC86U by itself can exceed the wireless performance of the dual-band AiMesh. Sure enough, the RT-AC68U is suitable for tricky areas, where one unit won’t be able to reach, but the software still needs to mature a bit more, so I will try to retest the speed performance with every new firmware update from Asus since we may see some significant improvements over the next months. UPDATE: I was curious if the new firmware updates would have a positive impact over the wireless performance, so I retested the system. 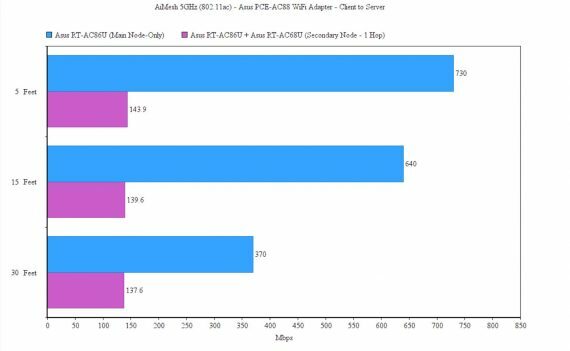 Unfortunately, the results were similar to the first time I tested the two Asus routers and I have actually seen a slight decrease on the main node using the latest firmware (down by 50-100 Mbps). 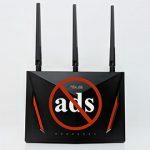 The second time I tested the AiMesh, I saw little overall improvement, but the third time, the system has become more stable and the clients do connect to the proper node faster, especially when I move the Asus routers around. 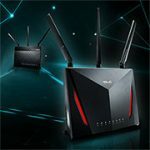 I did find it strange that Asus would develop and release the AiMesh when it had the tri-band Lyra system already available, but I do have to admit that the AiMesh has been a lot more efficient and I appreciate the fact that Asus decided to use pre-existing devices for this new tech. 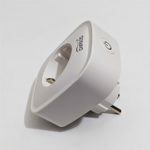 But I do know that it’s not by mistake that they used the re-purpose of the RT-AC68U (with all its variants) as one of the main selling points, because otherwise, the AiMesh would have been something that users may have avoided since it is a new, relatively untested tech, but this way, Asus allows the users to keep their old devices for a bit longer, while also (very) slowly developing the AiMesh into a better technology. At the moment, the AiMesh is far from perfect and I did have some problems before making it work but, if you already have an older Asus router and want to go for the next best thing, you should give AiMesh a try (it could also be the cheaper option), otherwise, you may want to research alternatives as well – the dedicated WiFi mesh systems are a lot more polished now than they were a couple of years ago. Hi there — great article! 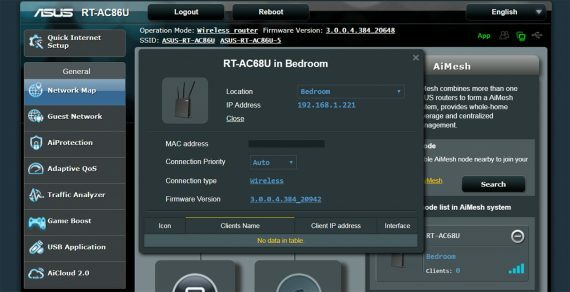 The firmware for the RT-AC68U was updated yesterday, wondering if that may alleviate some of the issues here. Also, I only have a few of the 68U models (not mixing models), wondering if that contributes to increased stability. Thank you for letting me know about the new firmware (I will retest the system as soon as possible). 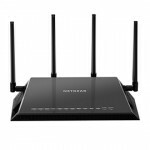 It does make sense that using the same router models to create an AiMesh system could be better in terms of stability, but, I think that a lot of people will create a mixed system using a pre-owned RT-AC86U along with a newer model (it makes more sense financially speaking). 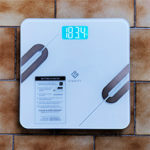 That’s why I tried this small experiment to see what the regular user may expect or experience and, thankfully, find some solutions for the problems that may arise.